Slice the lemon in half, juice one half, then cut the other half into 1/8" slices and set aside. Trim any excess fat from the chicken breasts and slice in half lengthwise. Season both sides of the chicken breasts evenly with the kosher salt and freshly ground black pepper then dredge each breast in the flour, shaking off any excess. Heat 2 tablespoons butter with the canola oil in a large skillet over medium-high heat. Add 4 pieces of the chicken and cook for 2-3 minutes per side. Transfer to a platter or sheet pan and cover with foil. Continue with the remaining chicken. 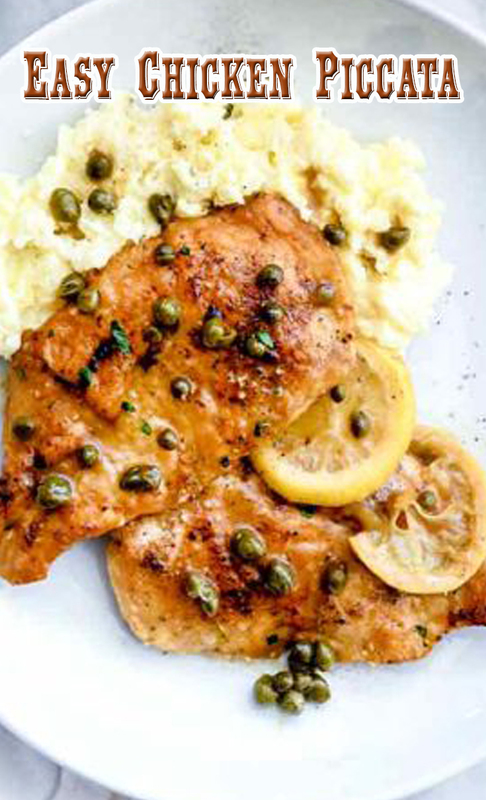 Reduce the heat to medium and add the chicken broth or wine (or 1/2 cup of both) the lemon juice, sliced lemons, and the capers, scraping up the browned bits on the pan and cook for 2-3 minutes. Stir in the remaining 1 tablespoon of butter until melted. Taste for seasoning and spoon the sauce over the chicken breasts. Serve with mashed potatoes or cauliflower, polenta, or noodles.